I’m from the era where SEO was the only option to get traffic online, and over the years I have seen so many changes coming and going that even I sometimes feel confused about SEO and where it is heading. However, in this chaotic world of search algorithms (that change every day), over the past five years, I have noticed some things have remained constant. Today I will b sharing with you 106 things to know about SEO to give you a clear introduction to what SEO is, how it works and how to best make it work for you and your business. I’d also be dispelling some myths about SEO that many “SEO gurus” argue over, leaving you (the person just trying to get a basic understanding of it) feeling lost and wondering whether SEO is worth it after all. Down below I’d also share some links, guides and resources to learn more about SEO (if it peaks your interest). But first, let’s get through this list of things to know, starting from the very basic “beginner’s introduction to SEO“. #02: It’s a marketing “term” that simply means optimising online content to appear in Google, (ideally in the first page, position 1-5). #04: This is because users who have a “buy intent“ tend to research on Google first before they decide to purchase something. #05: YouTube videos rank well also (Google owns YouTube so no surprise there). #07: SEO does apply to Youtube as well (see how to SEO YouTube videos). #08: Fresh new content is Google’ favourite type of content. #09: The ideal length of a blog post is 1800. #10: Push that to 2000-3000+ for main keywords with high competition. #11: 1000 words are the bare minimum you need to have a fighting chance at ranking a post. #12: Content should always be above the fold. If your content can not be seen at first glance, Google will have a hard time ranking you. #13: Review-type keywords are the best strategy for doing SEO with affiliate marketing. #14: Comparison style reviews also work amazingly well (Product X vs Product Y). #15: Optimising already existing blog posts is sometimes more beneficial than writing new ones. #16: This works when you have 100+ posts on your website though. #17: You need data from Google (use Webmaster Tools for this) to be able to properly optimise for the best results in a post. #18: SEO is never “finished” or “completed” – it’s a work in progress. #19: The day you stop working on your SEO is the day your SEO starts its (long) journey south. #20: Having said that, SEO can also keep bringing traffic long after you stop, but with time, it will die off. #21: The time it will take to die off depends mostly on how many posts you have and your authority – with long periods of inactivity, this will also start to fade. 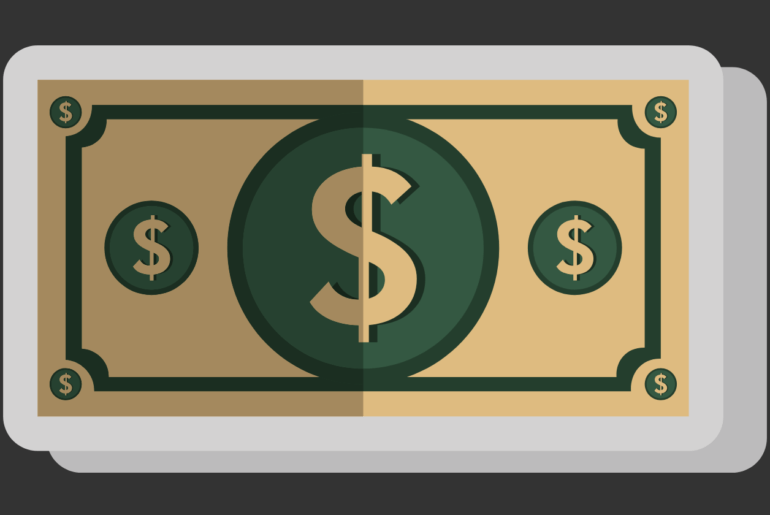 #22: SEO is an investment in your business, not an expense. What Are The Ranking Metrics For SEO? #23: There are over 200 metrics that determine your current rank in Google. #25: Google never reveals their full algorithm process. #26: Only a handful of Google employees know what the actual algorithm is. #27: You need 6-12 months for a post to rank at its fullest potential. #28: You might rank quickly, but the final “resting position” will be decided after Google have tested it across the 200+ metrics. #29: Time on page matters. #30: Website speed matters – more than you think. #31: Images are a MUST. #32: Embedding YouTube videos also helps in ranking (few are talking about this). #33: Write content for humans, not for search engines. #34: This means you should never do keyword stuffing in your article. #36: There are no penalties for duplicate content – this is a myth that’s been blown out of proportion by SEO experts who are not experts at all (more on this later). #37: Duplicate content will simply not rank, but there are no penalties on the website. #38: Also, social media shares do NOT help you get ranked. Again this is a myth. #39: The way social shares can help your SEO is if they get you more visitors, thus increasing the chance of someone linking to you from their website – not something to rely on. #40: The fancier your website is, the harder it is to rank. #41: The best content that ranks is a simple page with black text over a plain white background. #42: Don’t get too fancy with your layouts and designs as all that “code” does hurt your SEO. #43: Google LOVES brands. Apple, Amazon & BMW can do everything wrong with their SEO, and they would still show up for their keywords because people are looking for them. #44: Unfortunately, as a beginner, you do not have that luxury. 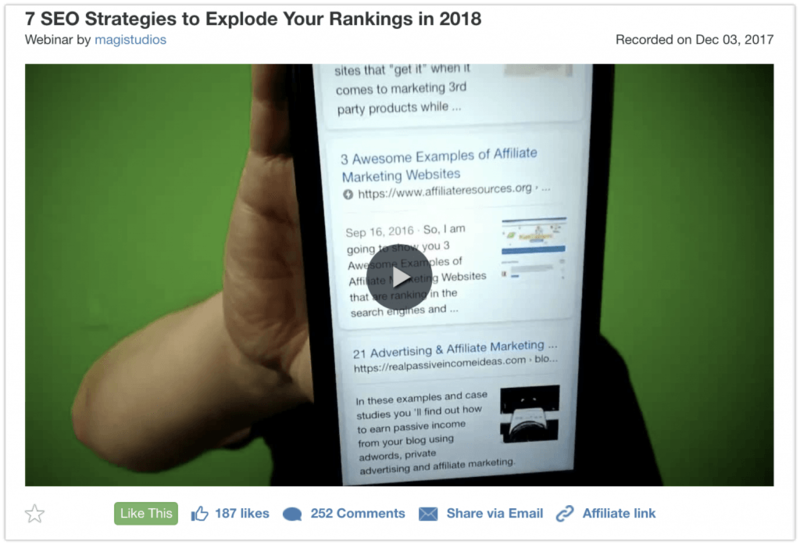 #45: Ahrefs – expensive, but quite possibly the best SEO tool there is. #46: ScreamingFrog – this allows you to crawl your site and alerts you on errors Google will pick up. #47: Answer The Public – a fantastic free keyword research tool that gives you questions people are asking on Google about specific topics. #48: Jaaxy – A keyword tool I use to get numbers, data and competition metrics (when I want to be fussy). #49: No, you do not need the above tools mentioned. Good SEO can be done without expensive tools and procedures – but they do help. #50: Internal linking (link from your post to another post on your website) is a crucial element to making your site more “connected” if you know what I mean. #51: External linking (links from your post to another post outside your domain) have been proven to be an effective ranking strategy. #52: Posts that rank position 1-5 all have a higher percentage of outbound (external) links – make of that what you will. #53: Yes, backlinks still affect your rankings. 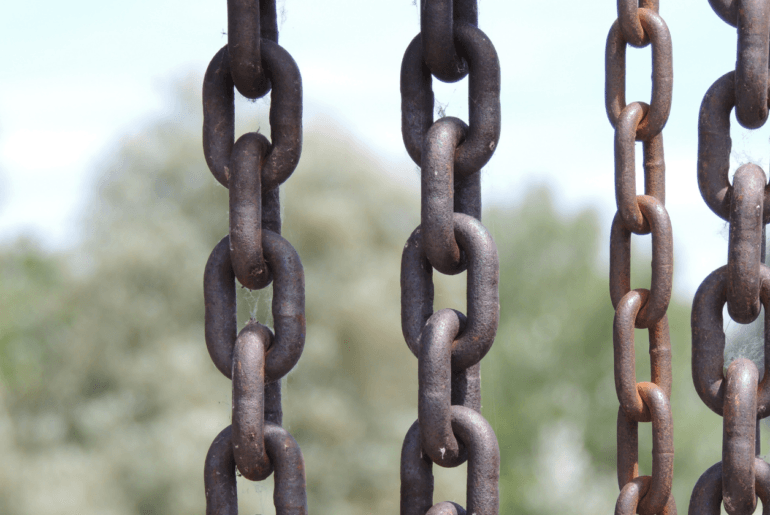 I used to think the “backlink days” are long gone, but they aren’t. #54: Backlinks measure the popularity of your site online, the more people link to you, the better. #55: Your backlinks count is better if you have multiple domains linking to you. #56: Having 50 links from 50 domains is better than having 200 links from 3 domains. #57: Backlinks need to be contextual as well with the hyperlink. Linking to an “SEO tips page” to this post would be ideal. #58: Linking from a page that talks about “dog collars” to this list is next to useless. #59: Google likes old domains – a ten-year-old domain has a better chance at ranking for a keyword than a 6-month-old domain. #60: Building trust with Google takes time. #61: Google will not give you the rankings you deserve when you are first starting out. Instead, they will wait to see if you’re here to stay. #62: A full-on authority website takes years to build, yes years. #63: Many optimizing for SEO do not have the patience to wait it out and see the full ranking potential of their posts. #64: As time goes by, better and quicker rankings will start becoming the “norm” for your website. #65: Always have your keyword in your meta title. #66: Add it also in first paragraph / 100 words. #67: Semantic keywords in the content also help. #68: Keyword as alt text in images. #69: Keyword in the last paragraph / 100 words. #70: Only ever optimize for one keyword per post/page. #71: Yes, what you heard is wrong. I repeat: 1 post = 1 keywords. #72: Yes, you can rank for more than one keyword with one post. #73: I have posts that rank for over 3000 keywords; this happens through the use of semantic keywords (mentioned above) and also Google’s immensely smart algorithm. #74: Long tail keywords is where the game is. #75: People are now accustomed to writing longer searches to find the best information possible. #78: “How to do SEO for e-commerce on a budget” is a specific long-tail keyword – admire the difference. #79: Black Hat SEO is a dangerous game to play, best to avoid it if you’re just getting started. #80: You will get results quickly, but they won’t last long. 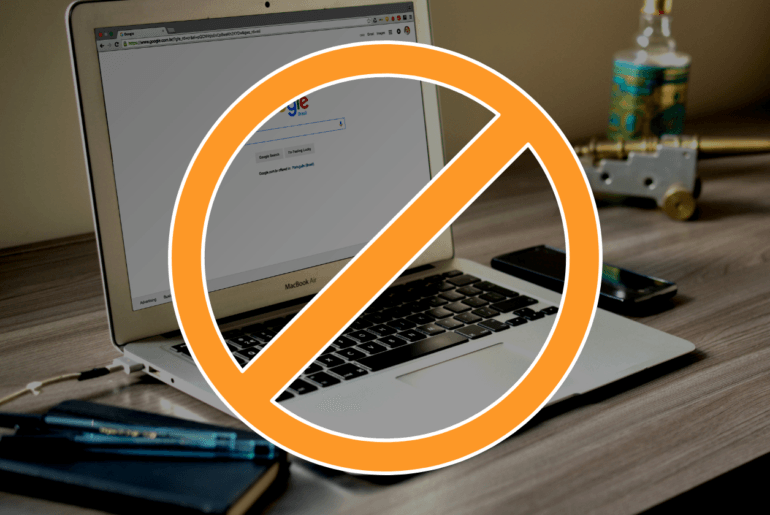 #81: On average, it takes Google around two weeks to figure out you’re doing something that is not allowed. Once that happens, your URL is tainted, and it’d be incredibly hard to regain trust again. #82: SEO attacks do happen, and they come as illegal link-building practices targetted to your website. #83: Always remember this: any trick you try with the intent of tricking Google or trying to cut corners with your SEO will always end badly. #84: WordPress websites are the best type of site builders for SEO. #85: Make sure you install an SEO plugin on your website (Yoast or All Ine One SEO). #86: Submit a sitemap to Google Webmaster Tool (Search Console). #87: A sitemap can be generated from your SEO plugin (I prefer the All In One SEO plugin myself). #88: A sitemap is quite literally a map of your website for Google search crawlers. #89: Having a ‘well connected” sitemap (with the use of internal linking) guarantees Google picks up on every piece of content on your website. #90: SEO works well for e-commerce and drop shipping as well (No, Facebook Ads is not the only option). #91: For an in-depth guide about SEO for e-commerce and dropshipping, I suggest you see Matthew Woodward‘s intensive guide. #92: Product descriptions + meta description optimization is your best chance at ranking a “product page” on Google. #93: Google likes information pages, not sales pages. #94: Make sure the keywords you are trying to rank for have buyer intent. #95: You can then direct SEO traffic to your sales pages, email lists, product pages with internal links to other pages/products on your website. #96: If somebody guarantees they can get you a #1 position in Google, they are either lying to you, or they are inexperienced. Best to avoid either way. #97: In my eyes, no one is an SEO expert – if someone claims to be, they have no idea what SEO is. #98: Having said that, SEO is a simple process (no need to over-complicate it). #99: SEO agencies will always complicate things to make it seem complicated, thus charging premium $$$. #100: I can teach anybody with semi-intelligence SEO in a day. What’s hard is doing what is required day in day out. #101: Voice search is a new trend that many are talking about – best to look into it when you have a minute. #102: Google’s algorithms can change at any time and drastically as well. #103: Remember; Google is a private company, and they owe nobody a specific ranking. #104: Many businesses have been wiped out by a single algorithm change (sometimes not even doing anything illegal). #105: Always have multiple sources of traffic. So that was my list, all 106 of things to know about SEO. As said in the post, I am sure things will continue to change and as time goes by, I will be updated this post with more information and as I come across it. This post is not meant for the “SEO expert” (I’m sure they’d hate it). This post is for the beginner in SEO that just needs to know what works and what doesn’t without having to go read through 3000 blog posts that would only confuse him even more. If this is what you are after, then I hope this is what you have received today and if you have any further questions, be sure to get in touch with my inside the Wealthy Affiliate training course platform. Wealthy Affiliate is where I learned all I needed to know about SEO, affiliate marketing and how to make money online. If you want a more structured, holistic roadmap to get to your goals, I’d like to offer you a free invitation to try out WA. Which Is The Best SEO Plugin For A WordPress Site? What Is CryptoSuite & Can It Make You Money? This is really helpful. It is really detailed and at the same time; straight to the point. The search engine optimization is a plugin that must really be done properly. Otherwise, nobody finds your link or post. We do not want that; do we? Always study what you are working on. I’m not sure you got the post Linda. “Search Engine Optimisation” is not a plugin. Wow, I though I knew a bit about SEO myself, but after reading your article I find myself humble again. I’ve picked up some great ideas, which I will be implementing into my own posts, and hopefully see an improvement in the search ranks! Tip #27 is very interesting to know. I didn’t know it can take so much time. Thanks for taking the time to figure this out! & don’t worry; the SEO game humbles me everyday as well. So much to learn – but I am glad you found this post useful. I really learn a lot from your post even I am already busy with WA, but still a newby, and start to get my traffic I am happy that I run into this post, because in this way presented it was a easy learning process and like you said didn’t get loss in a 3000+ post. Glad you enjoyed this Tommy. Great article, these are all very useful guidelines when building a website that you want to perform well with the search engines. There are so many points that I never knew about, for example I didn’t know that there is no penalty for duplicate content, I always thought it was a sure way to get my website deranked and so I was always so careful not to copy/paste anything. What do you mean by “the fancier your website is the harder it is to rank”? Why does a fancy website not rank so well? Anyway, I’m definitely bookmarking these SEO tips and will come back to reference it later on. What I meant with the “fancy website” tip was that ideally; the site is kept “clean”. > Not too much banners. Google likes clean simple layouts with content that is super easy to read and follow. This of course helps with the user experience which will eventually help SEO as well.